Hip Hip…It’s watermelon season! It’s basically the best late night snack in the Summer. A big bowl of cold watermelon from the fridge is the best! 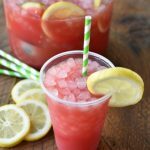 If you don’t consume it all in one sitting, you should make this…sparkling watermelon lemonade. 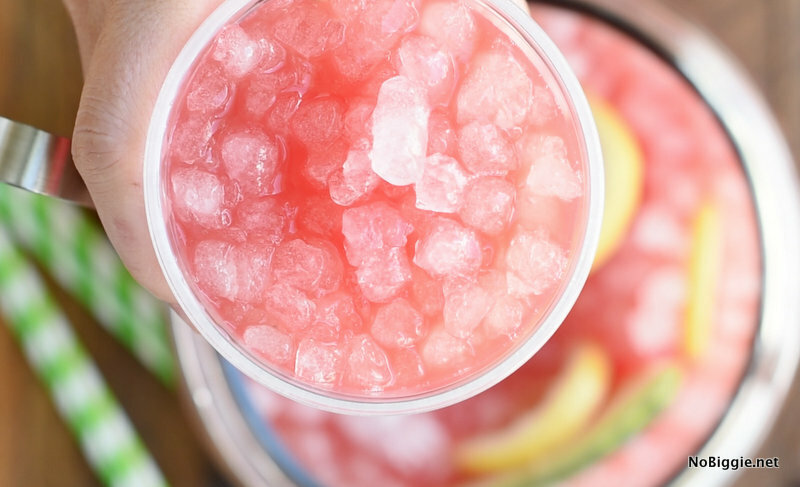 We’ve shared a bunch of watermelon ideas here, from popsicles to frozen watermelon lemonade, you really can’t go wrong, but this drink is tops when it comes to refreshing summer drinks. We made a quick little video to show you how easy it is to make at home! You know those cute drink dispensers with the spout on the bottom that are popular right now? I love how they look, but the one thing they are missing is the ice. Every good drink needs lots of tiny crunchy pebble ice, don’t you think? You know the kind you can buy in a big bag from Sonic?! It’s the BEST! To serve this drink, you only need a half gallon size or a gallon size glass jar like this. They are super cheap. 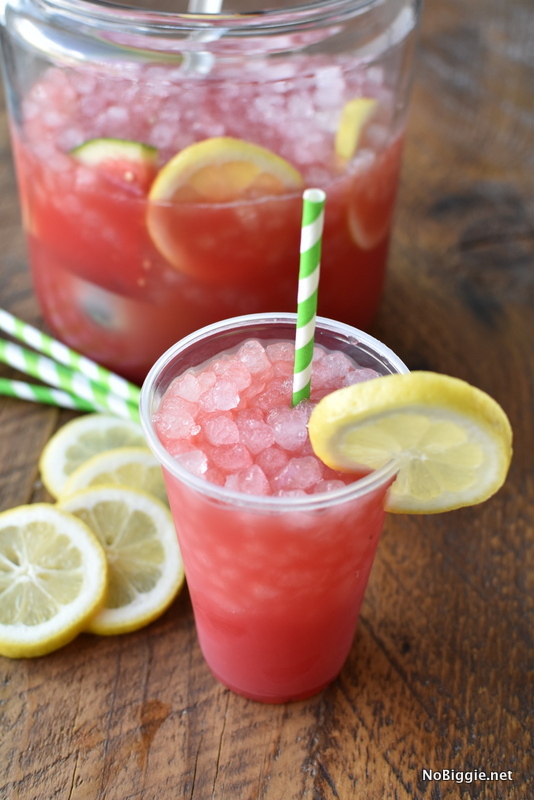 Plus I love the straight up sides of the glass walls, because you can get creative with the presentation and add slices of lemon and watermelon to really show off the fun colors of this drink. 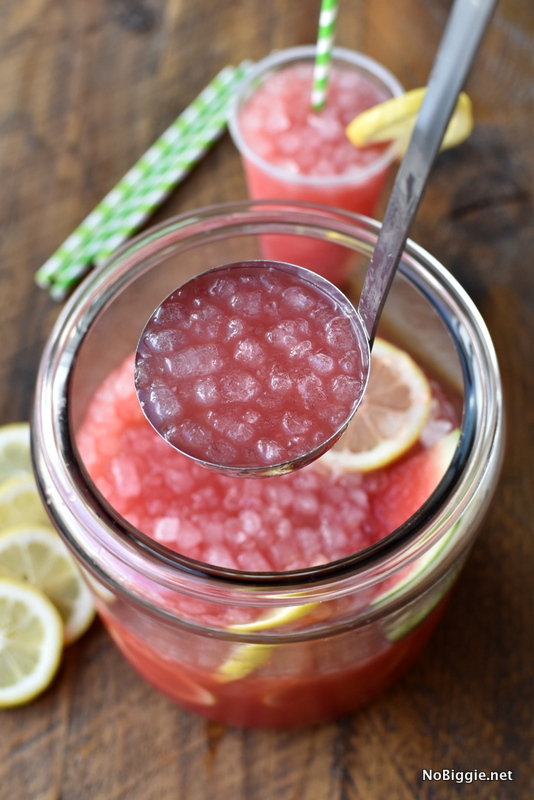 Make the ultimate summer drink: Sparkling Watermelon Lemonade and don't forget the pebble ice. Blend the watermelon chunks, until smooth. Press watermelon juice through a strainer and catch all the juice in a bowl, and discard whatever doesn’t make it through the strainer. In a medium sized sauce pan add the watermelon juice with the sugar. Bring mixture to a light simmer and stir until all the sugar is dissolved. Pour into a heatproof glass pitcher. Refrigerate until cold. In a large glass jar with a wide mouth for a ladle, add lemon slices around the bottom wall. Dump in about 1/3 of the bag of pebble ice, you can add more later as needed. 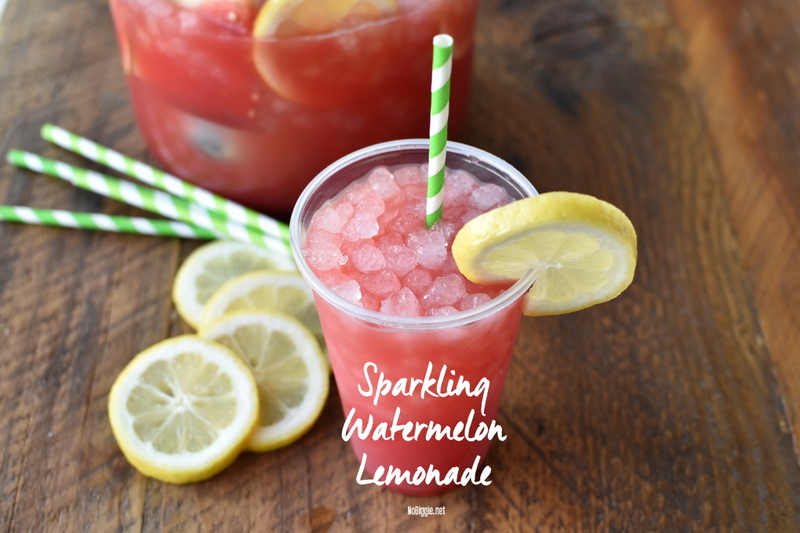 Add the lemon juice, sparkling water and sweetened watermelon juice. Add in a few slices of watermelon as a colorful garnish. Serve with a big ladle making sure each glass gets a bunch of pebble ice. 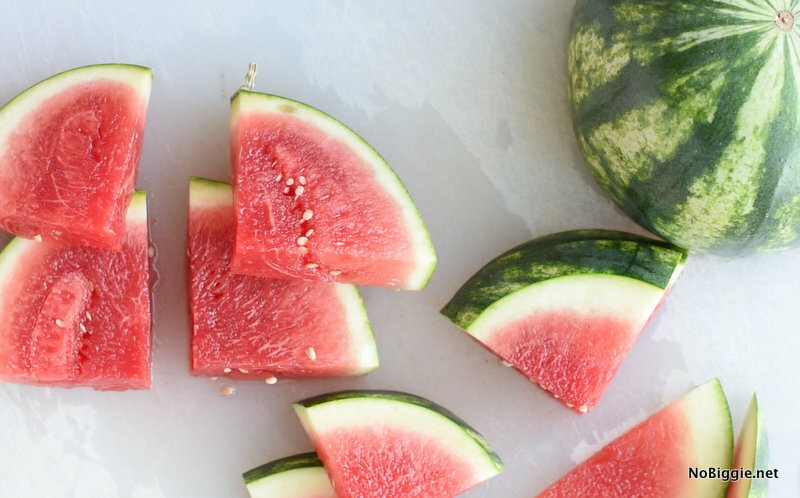 Garnish with a lemon slice or a small slice of watermelon…or both! That’s it! So easy and so refreshing! It looks delicious!!! Do you know where else “Pebble Ice” can be purchased? We do not have a Sonic in our area and I’d really love to get some. Thank you! Hi Nora! Check with the meat department of your local grocery store. They usually have an ice maker that makes this kind of ice and they might sell a bag to you. Good luck! It really is the best ice! What size watermelon? I would like to make for a family event. Hi Lisa! You will need about 4 cups of watermelon juice. One medium sized seedless watermelon should work! Out use regular filtered water right? Not club soda?